Founder and President of E4 Crop Intelligence, Greg Reisz, received a 20-year service award by the Iowa Certified Crop Advisers (CCA) board of directors in early February. Reisz was one of over a hundred individuals recognized for their commitment, professionalism, use of best industry practices, and unwavering years of service to agriculture as CCA’s. Reisz received his CCA plaque in February. Greg Reisz was one of 41 individuals in Iowa to be recognized for 20 years of service, with others being awarded for 15 years and 25 years of dedication to the program. Reisz became a Certified Crop Adviser in 1999, the same year in which he founded E4 Crop Intelligence. This professional certification is closely tied to his career and business in the precision agriculture industry. The Iowa CCA program provides crop advisers with the opportunity to obtain professional certification. Obtaining a CCA is voluntary, but a certification offers similar benefits as other licensing programs such as licenses for medicine, engineering, and accounting. To become a CCA, participants are required to pass two comprehensive exams that test one’s knowledge of crop, pest, nutrient, and soil management principles. Also, individuals must have detailed crop advising experience and adhere to the CCA Code of Ethics. Once certified, CCA’s must earn 40 hours of continuing agronomy education every two years in order to maintain their certification. 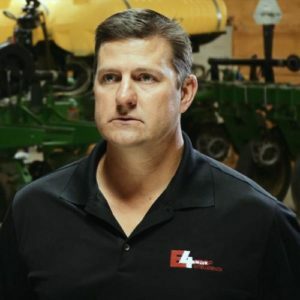 Find out more about Greg Reisz’s history with E4 Crop Intelligence by visiting www.e4cropintelligence.com.